Join us as we celebrate our newest Fellows and Engineering Executives and the acknowledgement of yet another successful year for the EngTalk program. Our guest speaker for this inspirational evening is Dr Craig Challen, 2019 WA Australian of the Year. Join us as we celebrate our newest Fellows and Engineering Executives and the acknowledgement of yet another successful year for the EngTalk program. Our guest speaker for this inspirational evening is Dr Craig Challen, 2019 WA Australian of the Year, who will share his story of the Tham Luang cave rescue and talk about his experience in leadership and giving back to the community. 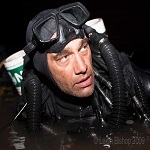 Dr. Craig Challen is an Australian cave explorer and member of the Wet Mules diving group. After commencing cave diving in the 1990s he was an early adopter of closed-circuit mixed gas rebreathers. Craig also has an avid interest in shipwreck diving and has explored sites over the last 15 years in the South China Sea, Solomon Islands, Australia, New Zealand, Thailand, Malaysia and Indonesia. A veterinary surgeon by profession, he founded the Vetwest (later Australian Animal Hospitals) group of veterinary practices in 1993 and ran it until selling his interest and retiring in 2017. Craig is also an enthusiastic helicopter and aeroplane pilot. In July 2018 Craig participated in the Tham Luang cave rescue of 13 people in Thailand. He has been named as the 2019 Australian of the Year for Western Australia. This evening is 5.30pm for a 6.15pm start. A light supper and refreshments will be provided.